Miniland Ranch terms and conditions are subject to change without notice. All kids are bottle fed from birth. Wethers are always $150 each. Doelings/Bucklings are $425 and up; price is dependent on pedigree alone, not moonspots, blue eyes or polled goats. Required deposits are $50 for each wether and $100 cash at pickup. Doeling and buckling deposits are $150 and the remainder in cash at pickup. We will sell babies on the bottle as long as arrangements have been made with the prospective buyer. We typically do deposits through Paypal (you do not need an account with them, you only need an email address where we can send the invoice, which can be paid with any debit or credit card). We do accept cash deposits in person or money orders via snail mail. We will NOT hold goats without a deposit. Babies are weaned and ready to be picked up at 8 weeks of age. Goats not picked up at 8 weeks of age are expected to be paid in full. We will then hold them an additional 2 weeks before boarding fees will apply. Deposits are non-refundable if you change your mind. We never dam raise kids; we follow cae prevention protocols. All kids are disbudded, but we will keep a kid's horns if a request is made and they are paid in full. All kids receive vitamin e/selenium, are wormed, get hooves trimmed, receive both cd and t shots, and also receive parasite medication as needed. Microchips can be administered on any goat leaving here for an additional $20. 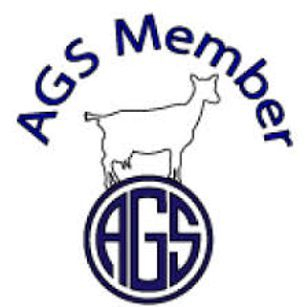 Registered goats will be tattooed and will go to their new homes with Adga and Ags registration applications. 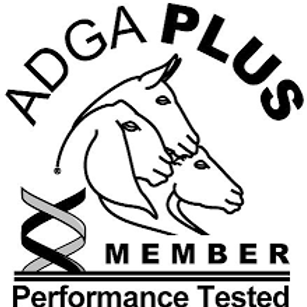 If you want to enter your wether into shows (it's very limited, but there are a few out there) we can do Adga paperwork and tattoo them for an additional $5. All goats leaving our farm go with a scrapie tag. MiniLand Ranch cannot guarantee the health of a goat once it leaves our farm. Goat kids often experience stress when they travel to a new place and unfamiliar surroundings, when they are weaned or any number of unforseen variables could occur after they leave our care. Our entire herd is tested yearly for Cae, CL and Johnes. We have never had any of these diseases on our farm. A kid being exposed to untested animals or being fed milk from a positive dam are just two examples of why we cannot offer health guarantees on our goats once they leave our property. MiniLand reserves the right to retain any kid bred and born on our property. We reserve the right to offer kids for sale as bucklings, before making them available for sale as wethers. We do not ship goats, but we have a few transport companies that we trust that haul goats and their are several groups on Facebook for transporting livestock. MiniLand Ranch does not guarantee conformation, height, milking ease of udders or teat length. We do not guarantee against scurs.